At the tree service Tampa depends on, our brush removal service is most often utilized by those who are in the process of building a home and those who have a lot of land covered in trees. As a new homebuilder, you must clear the land before the building process can begin and in the case of a large lot or multiple lots, it can be an overwhelming task. Similarly, as someone with acres of land and a significant amount of trees, the sheer amount of brush and debris can be daunting. At Tampa Tree Service, no job is too big for us to handle. 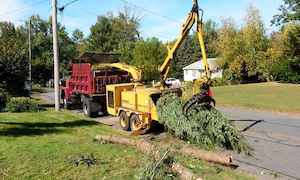 With our state of the art equipment and team of experienced professionals, we are able to complete any tree services, including brush removal, no matter the situation. Brush removal is monotonous but necessary, if you want to enjoy your home and property. Unwanted debris can detract from the aesthetic of your landscape and even the perceived value of your land. It can be a safety issue for your loved ones and guests and prevent you from utilizing your outdoor living areas. If you have excess branches and leaves scattered around your yard or need to clear your property, in order to break ground on new construction, let us handle it. There is no job too big or too small for Tampa Tree Service. One of our certified tree experts will come to your home, property, or business for an assessment and give you a quote to complete the job. No matter the case, we guarantee we have the right solutions and the right equipment to clear your land quickly and efficiently so that you never have to lift a finger. Although there are many ways to clear brush, our team will create a custom plan suited for your needs and your property. When you call us for tree services, you can count on us to respect your time and money and make your life easier, not harder. 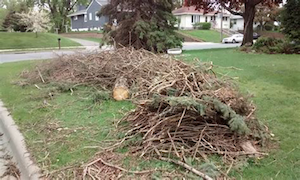 We also offer wood chipping, in which we turn your brush into wood chips to be used as mulch or firewood. This environmentally responsible service repurposes dead tree branches and miscellaneous wood pieces from your property into something useful. Perhaps you have done some pruning on your own, leaving behind a pile of wood that is seemingly unusable. Allow us to use our chipper to turn that awkward pile into beautiful mulch for your garden or wood to use in your outdoor fire pit. Call the tree service Tampa trusts and take back your landscape. Though our customers always have the option to lease a chipper and do the work themselves, they choose to come to us because we are experts in what we do. Wood chipping can be major hassle and a dirty job and you have better things to do with your time. Brush removal is an equally unpleasant job for a home or business owner but one that we are pleased to do. Give us a call today for any and all brush removal and wood chipping needs!